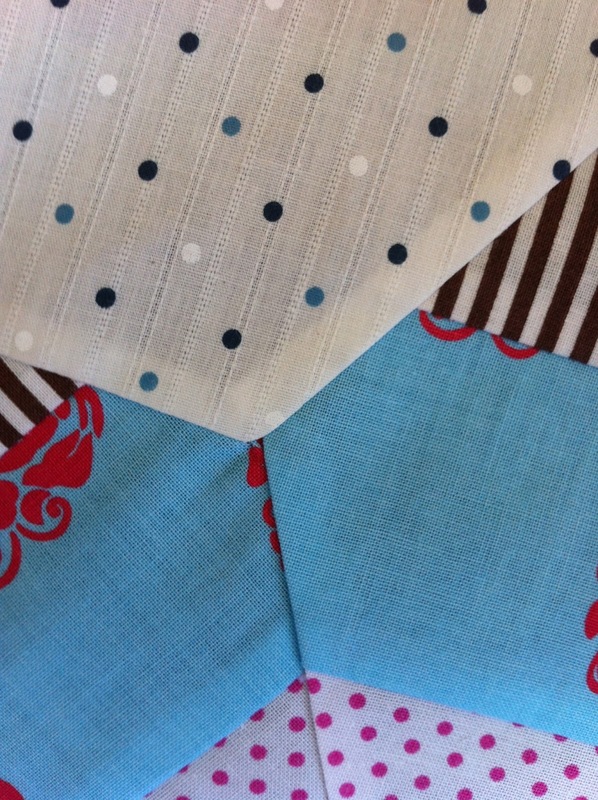 Patchwork n Play: Perfectionist or Realist! I had one of two choices as I put together the "Summer Stars" quilt top! Well, three if you count tossing it in the bin! You see this pattern nearly had me beat! It was the @$#(&$*@* points that got to me! some of the stars themselves? So the realist in me continued. That 'yo-yo' hides a multitude of things! Then it really would have ended up in the garbage! So long story short...its together! Doesn't look to bad from here, does it? But some are just plain nasty! Exact measurements of the stars themselves may have helped. There are still too many lovely patterns out there I want to make! So tell me, are you a perfectionist or a realist? Quilt Story for Fabric Tuesday! I'm NOT a perfectionist! 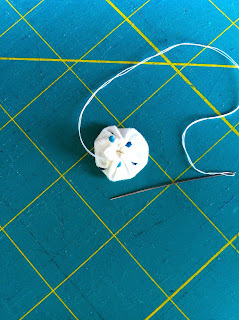 If I was, I'd never sew again! I commented recently that I feel like my quilts are a series of "learning experiences" - they're not perfect, but they're mine. I am a realist who sometimes, rarely seeks perfection. I actually like the end result of your Summer Stars. It looks great! Realist all the way- My blog is devoted to honesty and the learning processes in quilting... good and bad moments make up the journey wear e on and make it interesting and memorable- I think your quilt looks great and you should be very proud of it! I would like to think I was a perfectionist, but I honestly can't be bothered, unless I am making for someone else! I used to be a 100% realist but have found that I become more and more a perfectionist much to my own dismay. But I have to say I LOVE how your quilt is turning out. On point or not. The colors are so bright and happy and the star pattern is striking. I loved it ever since you showed us the first stars. I've been secretly contemplating making it since I got the book more than a year ago but have not had the guts to try it yet. I am practical. I try to choose things that have a good chance of turning out well. Having said that - sometimes you just have to make something that is extra challenging. It's all about finding those creative solutions - artistically applied buttons, appliques, yoyo's. In our hearts we know when to unpick, and when to carry on. I think you made the right decision. Bit of both - depends who it's for. For another sewist - perfectionist; for me (or my kids) definitely a realist! Oh my your quilt is beautiful. This pattern has been on my "someday" list but will probably be ages before I get to it so I love to see beauties like yours :) I learned long ago that while I love challenging myself, sewing is a creative outlet for me and trying to make every point perfect just kills my creative mojo. Any really, I've got bigger fish to fry and more patterns o try! I would have given up quilting years ago if I was a perfectionist. Don't forget the Amish saying that no quilt can be perfect so you have to make a mistake somewhere! So many quilters are perfectionists, that's so interesting to me. I think your quilt is looking fab so far, and that's speaking as someone who is usually super hard on herself with points and such. 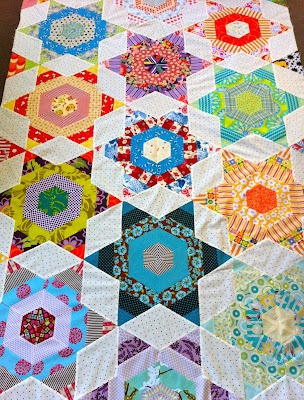 This quilt is just so darned stunning, perfect points or no! I'm more on the perfectionist side than not, but I do try & be realistic too and weigh the odds of what's most important. And learning something is often it. Your quilt looks beautiful and I'd just go with it. The best advice I got when I started quilting was "get your nose out of your quilt". The truth is that once the quilt is quilted and especially after it is washed for the first time, you will never notice those points again. In my books it is perfect already. I am a realist, although I enjoy the fun of things lining up I seldom sweat it that much. Most definitely a realist!!! 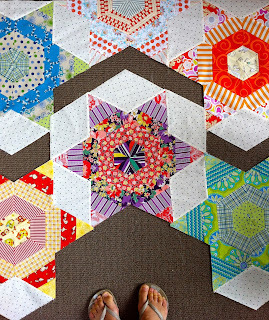 I agree with Leanne...once it is together and quilted most of the little imperfections just melt away. The frustrating part is when the pattern itself is not perfect and you are trying to create something with bad measurements from the get-go. Not to mention the expense of fabric....very frustrating. 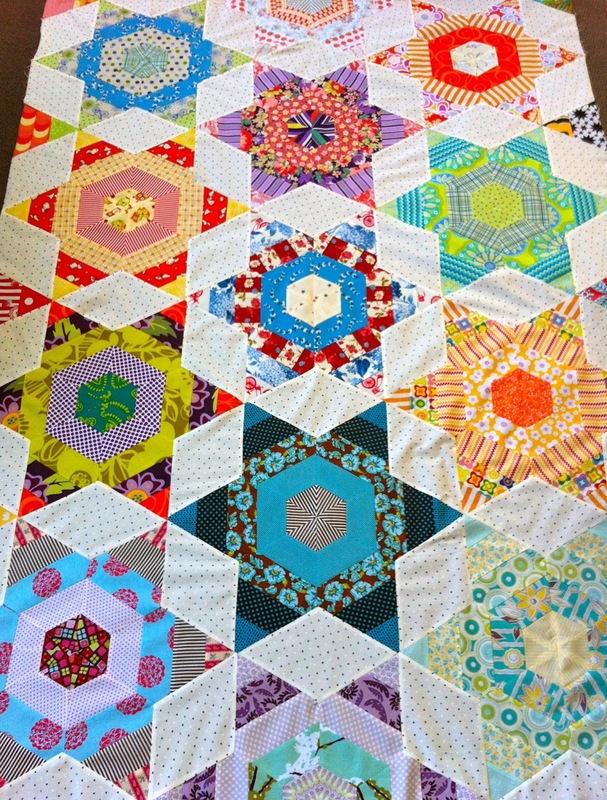 But I must say this quilt looks FANTABULOUS!!!! I don't see any mistakes at all. I love it!!!! Definitely a realist with aspirations to become more of a perfectionist! But what's the fun in that! I'd probably never try new things if I expected them to be perfect. 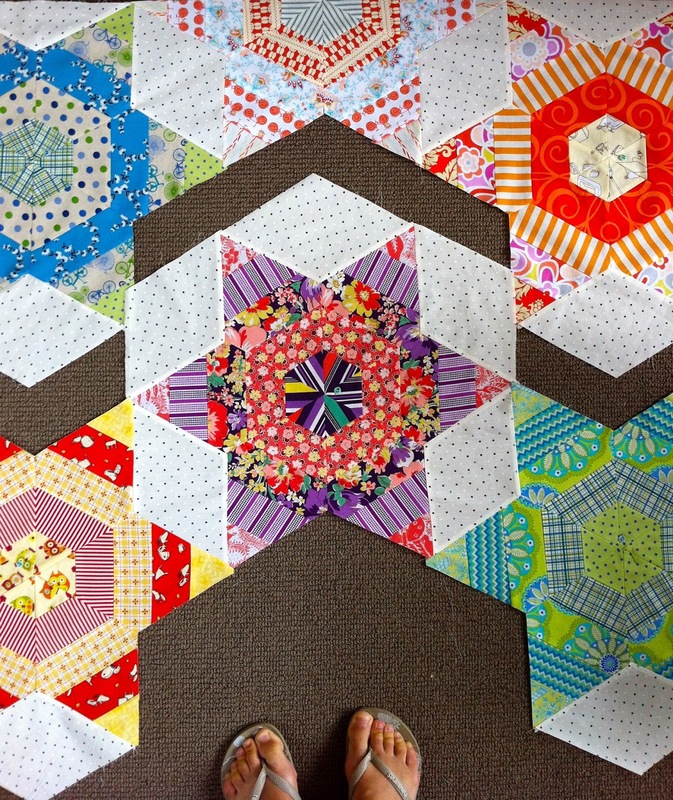 I love this post and that you showed your trials with this quilt in all their imperfect glory! This quilt is lovely, and I love this pattern. I also love your fabrics. So colorful. Another lovely quilt Susan and I am definitely too practical to be a perfectionist. I strongly believe that a finished quilt is better than an unfinished perfect one. There is always a solution to every patchwork problem that just adds extra charm to a quilt. Take care. I used to aspire to be a perfectionist, but have found being a realist is much less stressful. I'm a realist!! I think that it is so frustrating when these things don't line up. I would be so pissed off right now :( But, that is what you get when you quilt is tuff points to match up. When you find a pattern that everything is so awesome that it lines up like a dream I think it is credit to the person that designed it :) Thanks for showing your quilt because it makes me feel tons better about my stuff that didn't line up. Don't you worry about your non matching seams. It happens to everybody. The most important if you had fun doing the quilt. The rest are only small details. It looks fabulous regardless! Well done. I think it's important to stick with the realist in ourselves. First of all, handmade is handmade - the time and attention and love you put into it are SO apparent, matching points or not! Also, for me at least, the realism of that situation is that I'd decide to pick out stitches, put it on the back burner and never get around to even the picking out. Here's to looking past the flaws, coming up with solutions that we can live with and finishing with something just as beautiful! You did a great job!! Until you look closely the points are well hidden in the mix of colours! I must say I'm a realist. A lot of my points don't always match up. Instead of unpicking a great deal, I say "eh it adds to the quilt!" good for sticking with it and not tossing it out or in a bin. sometimes just taking a breath helps refocus and accepting what it is or finding a way to hide the issue! This is so cool that we are doing the same quilt. I changed it up slightly in the construction, using a paper-pieced block that I hope will tame the differences in sizes that can come from all those bias edges. I am guessing you are using Sarah Fielke's method, as the Y-seam comes in the middle of a strip. I LOVE your quilt! I'm so glad you wrote on my blog so I can gain some inspiration from what you have done. I am 100% a realist- or maybe even 110%! I love your creative solution to your dilemma! I am too busy looking at how well they look all pieced together to notice a few missing points. yone will gasp with wonder and only YOU will notice those points! What an excellent layout! So pretty! Try not to worry too much about it not being perfect. Remember, it's handmade and that's part of the charm. Only in a factory can you get perfection! Firstly I love it. It was well worth the effort that you have put into it. I'm so pleased you didn't give up, it's beautiful. I wish I was a realist but all too often the perfectionist comes out in me and I'm way too hard on myself. I want to "pin" all these comments as a reminder that quilting should not be about perfection but about the enjoyment and the journey. It has taken me a very long time to get to this point but I am now a confirmed realist. I can't even begin to list all the things I haven't started for fear of not getting it quite right. My mother, bless her, instilled it in me but honestly, it was a mistake. I'm so much happier with the freedom to create and embrace mistakes and work with them. This doesn't mean I won't pick out some stitches but I don't beat myself up about anything. Quilting is supposed to be fun for me. I work at keeping it that way. Your work is so inspirational, by the way! I love seeing all you do and I envy your accomplishments. Pah! to perfection, I'm a realist!! The quilt looks fantastic and I can't see any missing points till you point them out. hee hee Okay back to the point, hee hee, It's a fabulous, striking quilt. That fact that it was tricky makes it all the more special. I've recently been sewing triangles and lost a few points along the way. That's the way it goes. I try to be a perfectionist but there comes a time in every project where I decide to wash my hands of it. i call it the "Is this really going to bother me? Is is really worth going back to redo? Is anyone other than me going to notice/care?" test. If yes to those questions, I redo. If no, I move on and make peace with it. 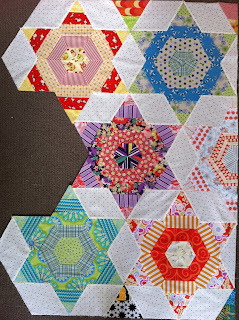 PS> I completely botched a block in the last quilt I made (an amalgam of a whole bunch of things) and covered the messy centre with a yoyo. It's horrible but I left it anyway because the horrible learning experience fit the theme and intent of the quilt. AMAZING!!! Stunning!! Loving this, seriously great work! Wow wow and wow! Looks spectacular!